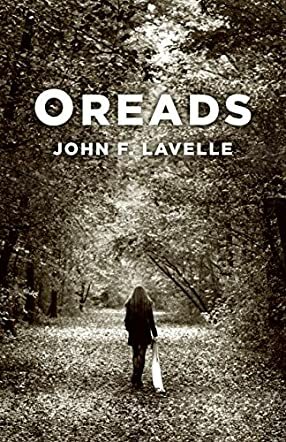 Oreads by John F. Lavelle is a fictional novel set in the Appalachian mountains in the 1960s. It tells the story of Cassie Wolphe who, as a tender teenager, falls hopelessly in love with Jake McCullom. Cassie wants to remain in the rural area where she has been raised, marry Jake and bring up their children. Jake has other ideas. He wants to escape the poverty and experience what he perceives to be a richer and better life elsewhere. This is a time of great societal change where the modern world begins to intrude on rural life. In the end, Cassie chooses to stay and Jake moves on. The repercussions for Cassie are profound. She struggles, first with the loss of Jake, and then with her life path choices which are influenced by the local community and the church. This is a gritty novel of young people growing up in an honest rural farming community which is being stirred by the Vietnam War, the hippie movement and a new consumerist society. I could almost taste what it must have been like for those living at that time. John Lavelle writes a heartbreaking and very moving narrative. The dynamics between the teenagers teetering on the brink of adulthood was beautifully described. I loved the heroine who, despite her faults and the problems life threw at her, did the best she could. There wasn't a time when I wasn't on her side and hoping things would turn out well for her. Oreads is a superb coming of age story which had me spellbound from the very beginning to the very end.